Little boys love to imagine themselves as firemen, superheroes, pirates and more. Give them a space to dream in their very own bed that is perfect for playtime and bedtime. With these 10 DIY boy bed ideas, you’ll have a hard time choosing just one! 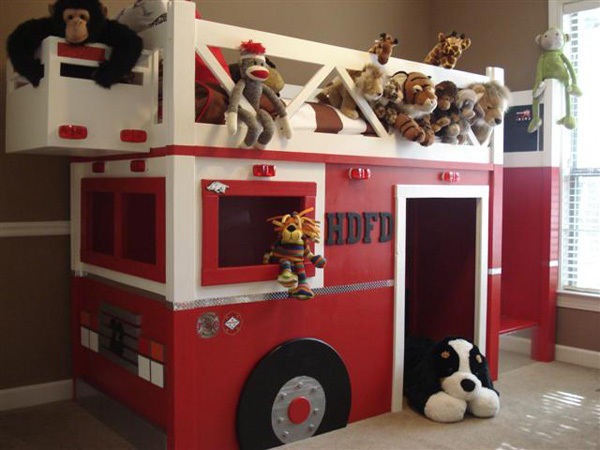 Perfect for the little boy who dreams of growing up to become a fireman, this loft bed was inspired by Pottery Barn. Crafted using plans drafted by Ana White, the loft bed is a lot simpler to create than it looks. There is no doubt that little boys love their trucks. Give him a bed he can pretend in with this fabulous front-end loader design. Purchase the plans for this DIY bed at Plans 4 Sale for only $10. Don’t have the appropriate landscape for an outdoor tree house? 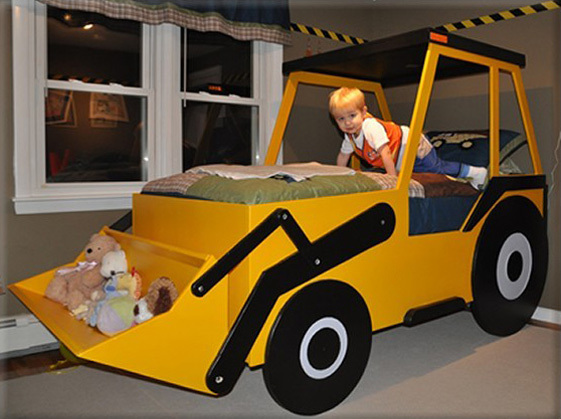 Build one indoors for your little man’s bed! A great size for a twin mattress plus a little extra space for reading, this bed design would make your boy scream with joy. 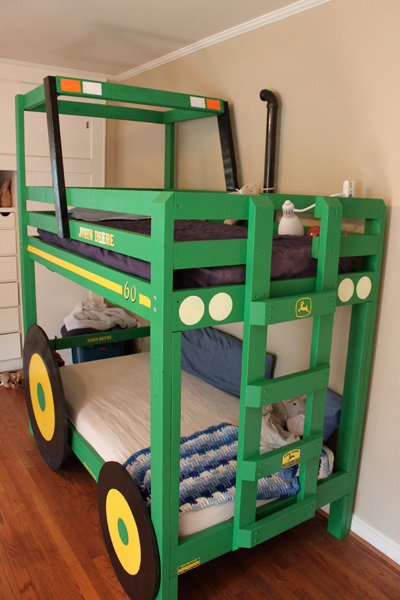 Why buy normal bunk beds when you can build a tractor made for two? Crafted to look just like a real John Deere, this bed is tractor terrific! 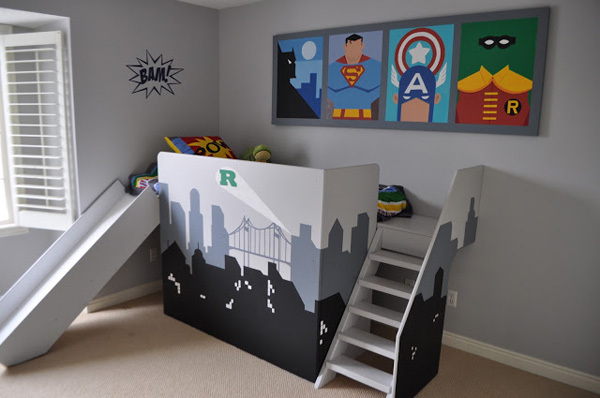 Pint-sized superheroes will feel honored to save a mom in need with this exciting superhero bed. Equipped with a slide and stairs, this bed is great for playtime, too! 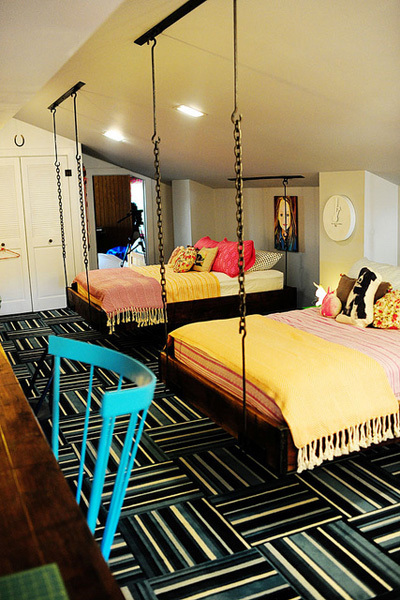 Although shown for a room shared by girls, boys will love these hanging beds just as much as the little ladies. They’re a great fit for industrial decor, and your little guys will love hanging out in their beds (pun intended)! Set sail for a decorative voyage! Made for storage and organizing in the stern and bow of the boat, this bed is great for mom and son. 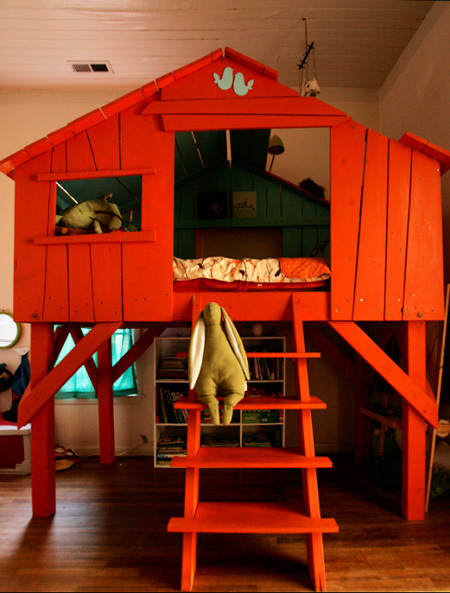 Give your little guy a place to escape with his very own hideaway loft bed. 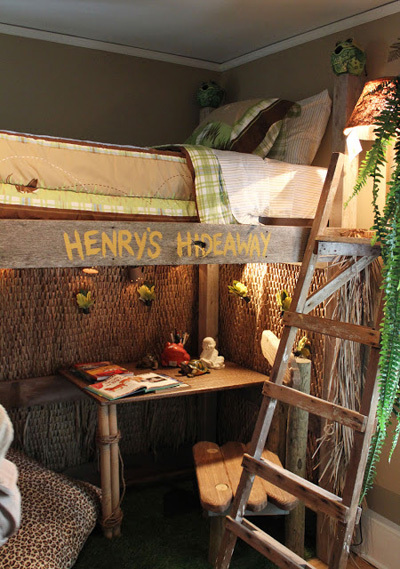 Decorated with nets and other jungle items, this hideaway is an awesome place to rest for little explorers in training. 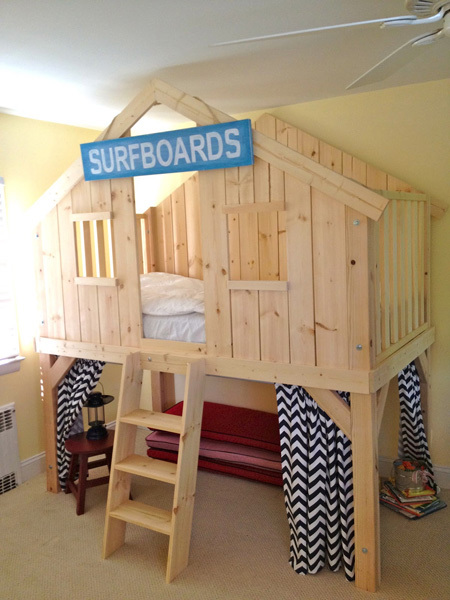 Perfect for a beach-themed space, this surf clubhouse is totally awesome for little surfer dudes. With this gnarly look, boys are bound to catch some dreaming waves in bed. The cowboy of the house will adore having his very own place to rope and ride. 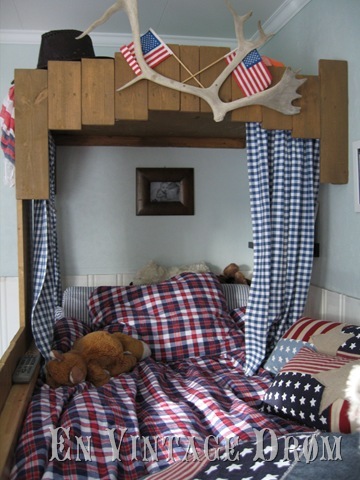 Designed for two beds, the top bunk can be used as a place for western decor or imaginary cattle calling.